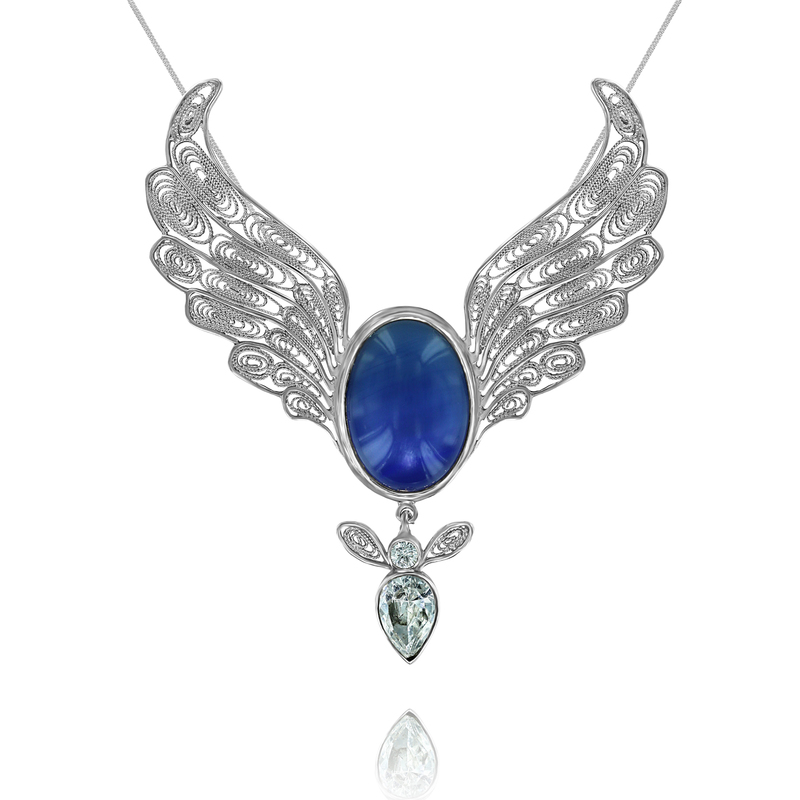 Mary Queen of Angels Pendant with her heavenly, cornflower blue agate crystal is adorned with handmade wings of silver filigree and a small, baby angel crystal drop. Perfect for inner child work, for parenting, and for comforting ourselves and others through life’s challenges. 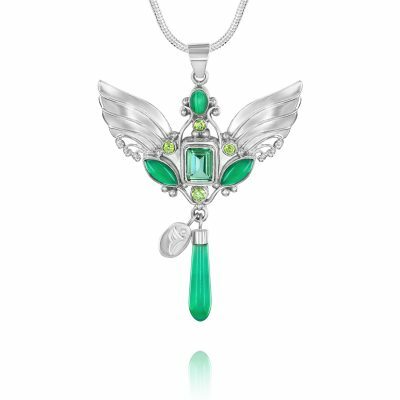 Mary Queen of Angels Pendant. 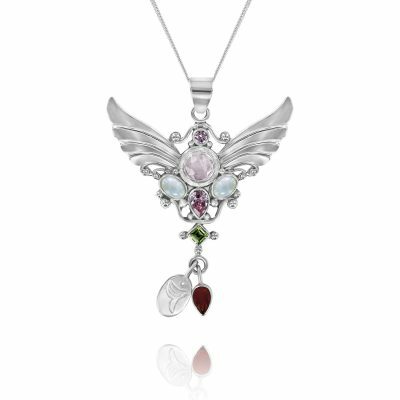 Absolutely nothing compares with the comfort and wisdom that the Queen of Angels Pendant and her Angelic energy imparts. The perfect necklace for Mothers, for strength, nurture and endless giving; she gently calms our nerves and stableizes our thoughts, pouring her gentle, healing balm over our worries and our wounds. When being Mom is both beautiful and heartbreaking all at once. When your inner child needs a big, long, loving hug. When you get too close to unkind people. When your jug of compassion is almost empty. 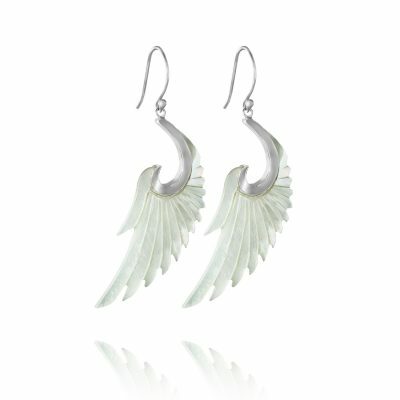 When you need a bit of moral support and Angelic inspiration. 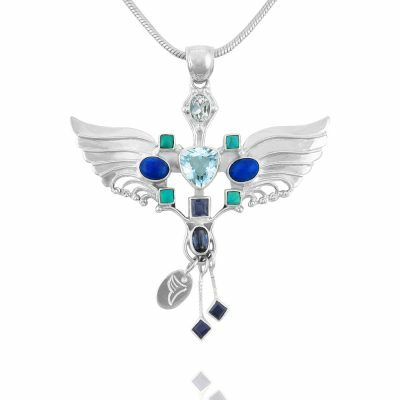 A filigree winged Queen Of Angels pendant with a cornflower blue agate gemstone and a small angel drop in crystal quartz. Mary Queen of Angels is 3″ wide x 3.5″ long. 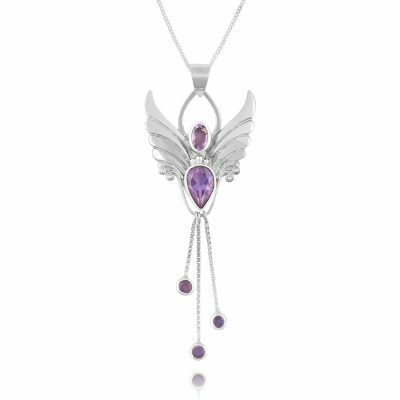 The Angel Necklace comes with a chain, and is ready to wear. 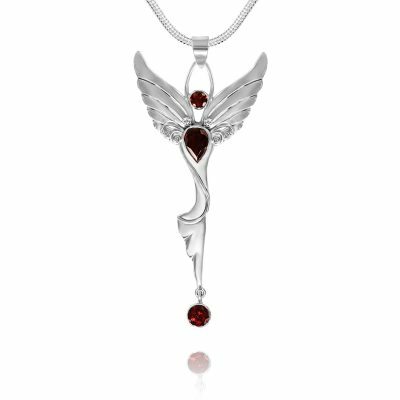 My wish is that this lovely pendant fills you with the spirit and inspiration of Mary Queen of Angels, and that in wearing The Mary Necklace you experience a constant and inspired connection to the true heart of our most beloved Mother and Queen and her compassion for all living beings. The comfort she brings you is like a wise Mother’s love; unconditional and reliable, like a wide, flowing river of hope.